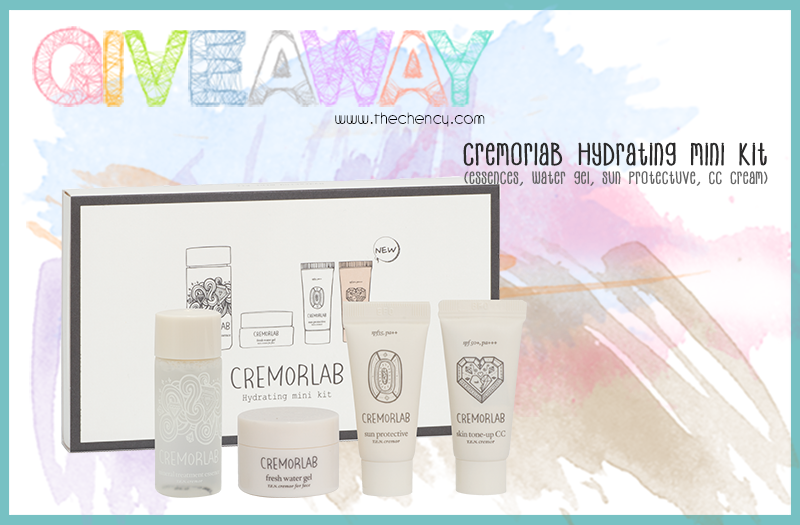 Am giving TWO sets of Cremorlab Hydrating Mini Kit worth MYR50 to two lucky readers to try it out (one/set). There are 4 products in Cremorlab Hydrating Mini Kit. There are 4 products in the Cremorlab Hydrating Mini Kit! Thanks for the giveaway! There are 4 products which are Mineral Treatment Essence, Fresh Water Gel, Sun Protective SPF35/PA++ & Skin Tone-up CC cream.